Final blog post about China! Suprisingly hard to bash this post out while not being in China. Arrived late in Lijiang, or more accurately Shuhe old town, to a pretty nice guest house, where they made us egg fried rice since we were evidently quite hungry. Basically the way the area works is that there’s a famous old town called Lijiang old town, which now has a large modern town next to it (Lijiang new town?). The old town is still nice, but has definitely been refurbished and so forth to make it “nicer”. Shuhu and Baisha are still a bit more secluded, although they’re getting there. Loads of cute married (or soon to be) couples having their photos taken in Shuhe - such as the girl in the first picture. Almost forget: it was very cold all three days, probably since the towns are at a pretty severe altitude, like maybe 2,400m? In Baisha old town, we met the “world famous” Dr. Ho! He’s very nice, but seems to be revelling in his own celebrity a bit, which all started with an innocuous NYT article in the 80’s. In Lijiang, we found a great sign: “Take care to fall into water”. No problem. In this picture, the guy behind Debbie is laughing because Debbie had rejected the previous corn for not being yellow enough - seems they could translate the word yellow! 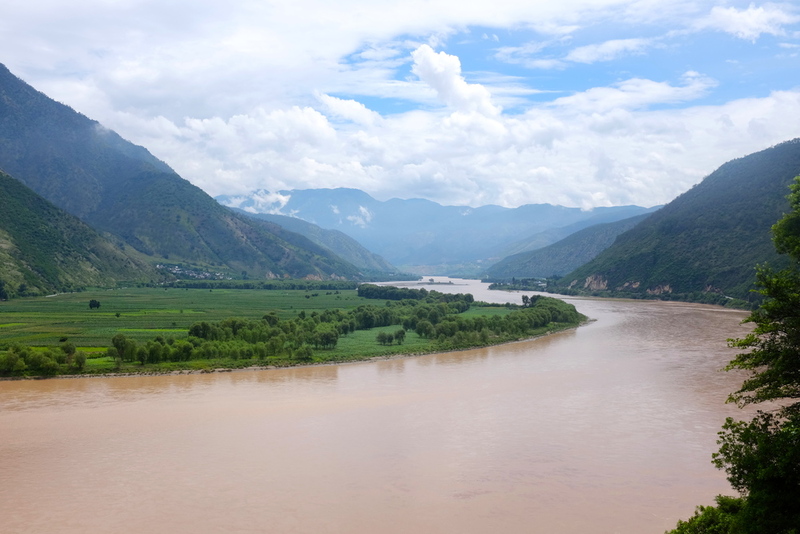 We went to the first bend of the Yangtze river, where it makes its first severe change of direction. Even though the water is muddy, it’s still a great sight, with the mountainous background helping quite a bit. Also a decent market in the nearby towl, which thankfully showed no signs of being aimed at tourists. Later we took a humorous back routes way to get to some random temple (as recommended by our guesthouse). Was going well (in fact some lovely girl gave us a free apple!) until some annoying woman selling some food or other saw us leaving the world’s most disgusting toilets (no working tap either) that she clearly had nothing to do with and decided to charge us money for using them, after we’d used them. We refused to pay, but she started hassling our driver, and our driver paid (whole thing happened in Chinese, sadly couldn’t stop our driver from paying, but we paid her back). At the temple, I managed to catch this monk jr. doing some jumping, much to the annoyance of the older monks. There was a fire festival of sorts on - or else we just saw the fires that are lit every night. We also had intended to go to Tiger Leaping gorge, which comes highly recommended, but too much rain = no gorge. Rough morning the next day, as we took a very early flight to Chengdu. However a very soft landing, since the apartment we rented from Airbnb turned out to be really nice. 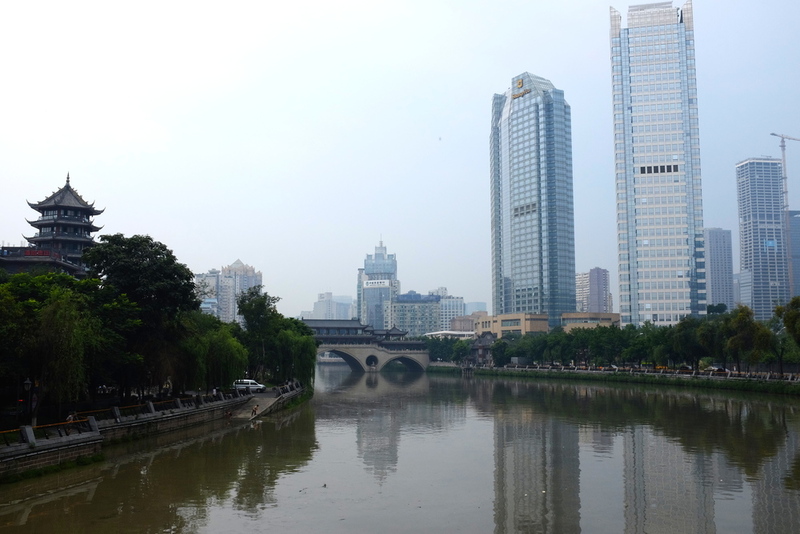 Chengdu turned out to be a relaxed place for a big city - and completely obsessed with pandas. We made it to a panda research and breeding base, which was cool. They also had red pandas! 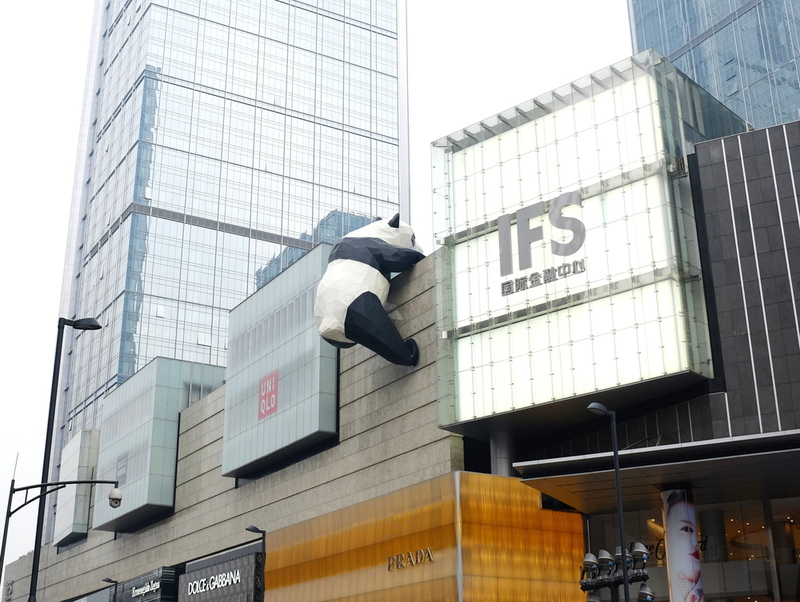 In the city, panda shops were everywhere, and even taxis had pandas on them. It does make sense since this area of China is basically the world capital for pandas - nearly all wild pandas are in Sichuan province. People’s park was right next to our accommodation, so we headed there. Amusingly in parks all over the country, you find marriage markets (don’t know the real name), where parents advertise their child in order to find a husband/wife. Love it. Old people dancing is also a very common sight in Chinese parks, which is fun - I hope I’m still dancing at their age. The city was also very nice. It was clean, with nice rivers etc. Also, tons of great parks. I started to get a bit beat down by the heat at this stage, it being 35ºC most days in Chengdu, with ever-increasing humidity, but the parks were a nice escape. Chengdu has some great food, including hot pot! We got a half spicy, half unspicy, for our skewer-based hot pot (seems we missed out on regular hot pot). We found a bunch of great cheap places, partially due to one of Debbie’s Oxford buddies being from Chengdu. Chengdu is also famous for its tea houses. We got very lucky and came across a nice English speaking Chinese guy in a tea house, who invited us to sit with him. Turns out his daughter is considering a masters in the US. Eventually she joined us, and then the two of them took us out for a local dinner. A great last evening in China, topped off by our Airbnb hosts hosting us for tea (loads of tea that day…). A hotel we ate at was hosting a conference for a food company; I made a new friend there. Had a great time in China. Quick shout out to Xinyao, Zhuang and Tengyuan for their help in planning the trip.